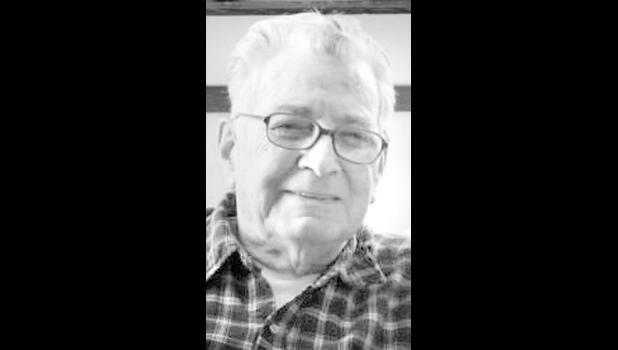 Bobby Joe Frealy, 93, Holton, died Sunday, Dec. 24, 2017. He was born July 5, 1924, in Camden, Ark., the son of Eugene Stanley and Maggie Faye Tyner Frealy. Mr. Frealy joined the U.S. Navy in January 1942 and served with the South Pacific Fleet aboard the USS Portland during World War II. He later worked in the timber and sawmill business. He was a life member of the Holton VFW and American Legion, a former president of the Veterans Club and a bingo caller for many years. He married Lenora Cotham on June 22, 1946. She died Feb. 2, 2002. He also was preceded in death by his parents, Eugene and Maggie Frealy; five brothers, Eugene, Austin, David, Bill and Jackie Frealy; and four sisters, Mary Lou Tourigny, Faye Frealy, Betty Scharff and Alice Frealy. Survivors include a daughter, Mary Lou Area and husband Jack, Topeka; a granddaughter, Kristina Rottler and husband Nathan, Topeka; a grandson, Robert W. Area, in Colorado; 10 great-grandchildren; and five great-great-grandchildren. Funeral services will be held at 10:30 a.m. Thursday at Chapel Oaks Funeral Home in Holton. Burial with military honors will follow in Holton Cemetery. Mr. Frealy will lie in state at the funeral home, where family and friends will meet from 6:30 p.m. to 7:30 p.m. Wednesday. Memorial contributions may be made to St. Jude Children's Research Hospital, sent in care of Chapel Oaks Funeral Home, P.O. Box 1034, Holton, KS 66436.